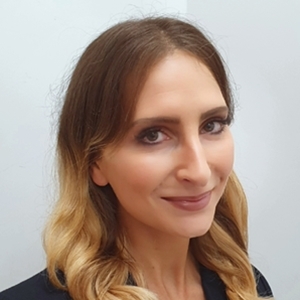 Dr Nikki enjoys treating a variety of patients from all age groups and all disease categories however finds herself particularly drawn to preventative health and nutritional medicine. Treating food as medicine, Nikki is a doctor who firmly believes in prescribing diet and lifestyle changes before drugs. She specialises in weight loss, diabetes, fatty liver, polycystic ovarian syndrome/infertility and inflammatory conditions using evidenced based nutritional intervention and offers specialised appointments for these concerns (ask reception for more information). Additionally, Dr Nikki has further qualifications and special interest in Sexual Health (including insertion and removal of contraceptive implants and care of unintended pregnancies), Mental Health, Travel Medicine and Sports Medicine. Nikki’s ideal weekend involves exercising with her Hungarian Vizsla, wandering her local market, preparing and enjoying delicious meals with family and friends and having some quiet time to work on one of her art projects. Nikki also has a degree in architecture – her other true passion!